Travelers, I have finished my photo album. Please feel free to share with one and all! 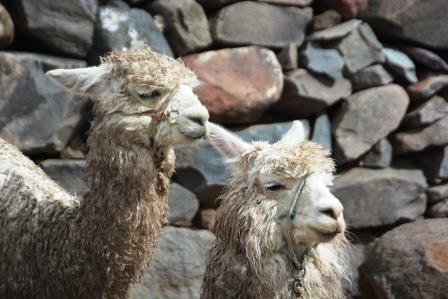 Today is our last full tour day in Peru. 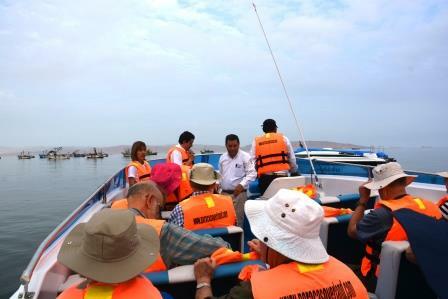 After checking out of the hotel, we head to the local pier to board a boat to the Ballestas Islands, the "Galapagos" of Peru. 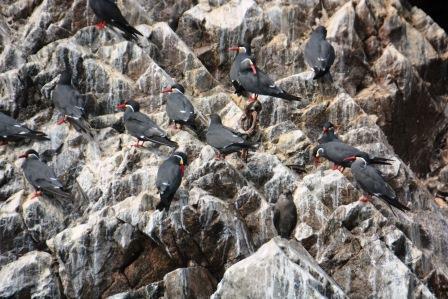 Although only two islands, the wildlife is amazing. 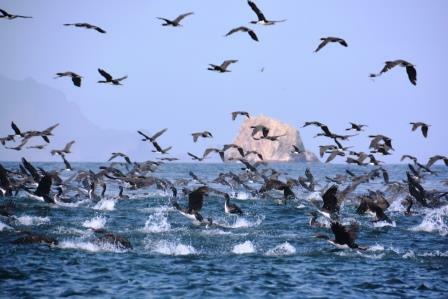 Our guide stated that we witnessed more than 500,000 birds! 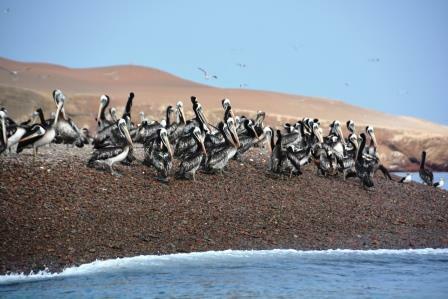 The Ballestas Islands are a group of small islands near the town of Paracas located within the Paracas District of the Pisco Province in the Ica Region, on the south coast of Peru. 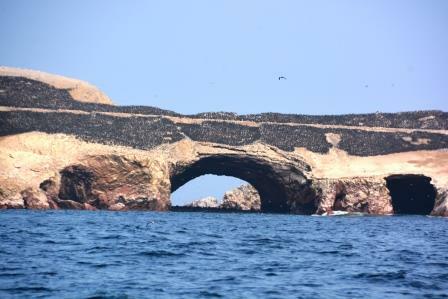 Composed largely of rock formations and covering an estimated area of 0.12 km², these islands are an important sanctuary for marine fauna like the guanay guano bird, the blue-footed booby and the tendril. 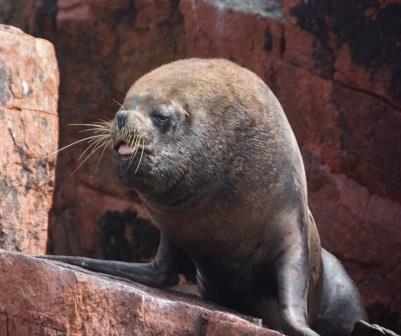 Other notable species include Humboldt penguins and two varieties of seals (fur seals and sea lions), amongst other mammals. 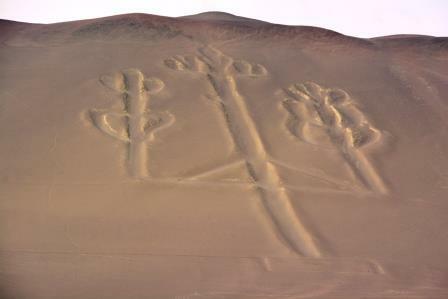 On the way to the islands, we sailed by El Candelabro, a large-scale geoglyph that may have served as a beacon to mariners. 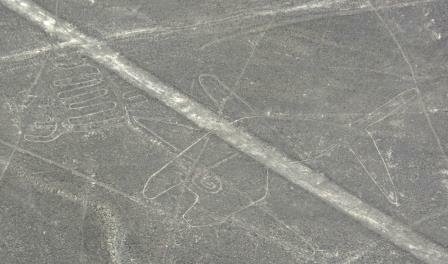 The mystery as to the origins of this particular geoglyph is ongoing with much speculation. 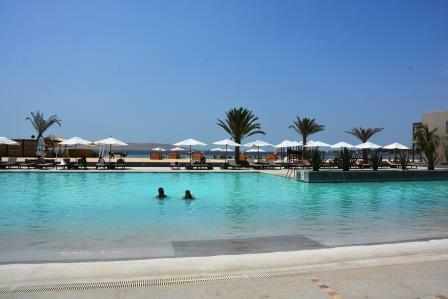 Pottery found nearby has been radio carbon dated to 200 BCE, the time of the Paracas culture. 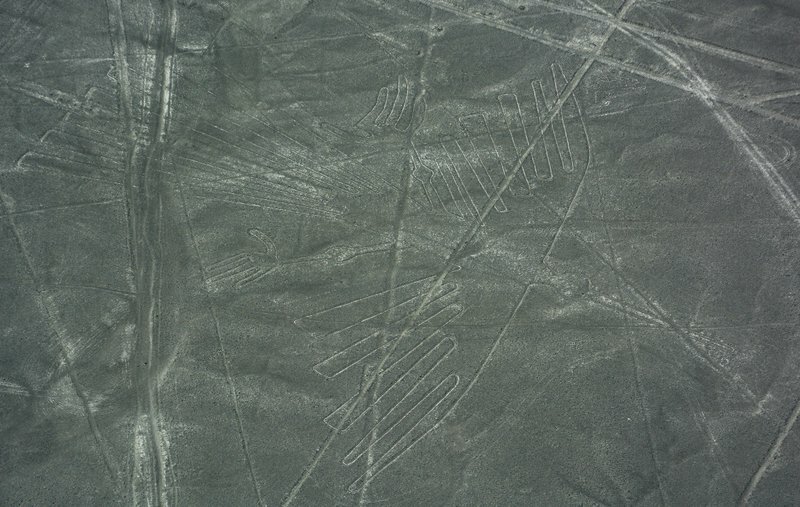 The design is cut two feet into the soil, with stones possibly from a later date placed around it. 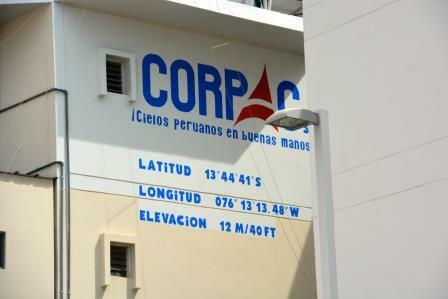 The figure is 595 feet tall, large enough to be seen 12 miles at sea. 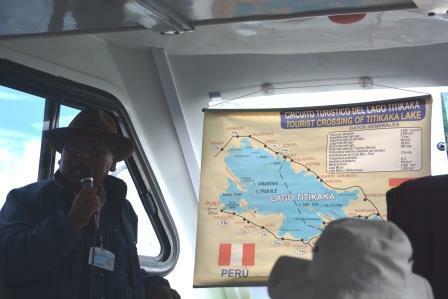 After our boat ride, we headed back to Lima for our farewell dinner, packing and saying goodbye. 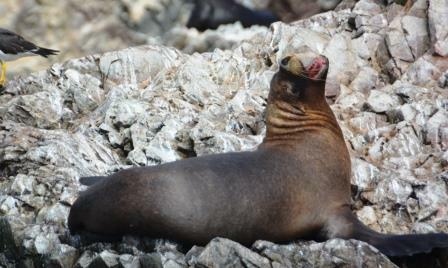 Although strenuous, this was a remarkable trip, with a wonderful group of travelers. 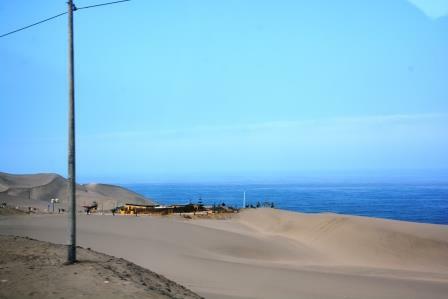 After a great oxygen filled sleep and a good breakfast we boarded our bus and headed south on the Pan American Highway to Paracas. 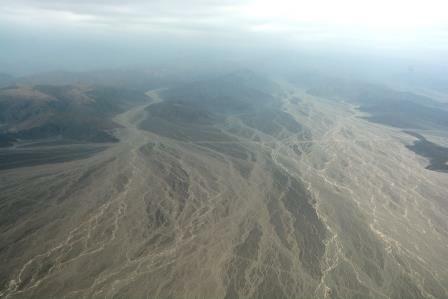 After a quick hour at the hotel, we headed to the local airport for our hour, 45 minute flight to view the Nazca Lines in our 12 passenger Cessna. 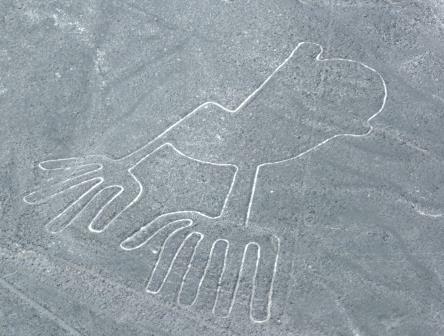 The lines are easily one of the most mysterious man made features of the world. 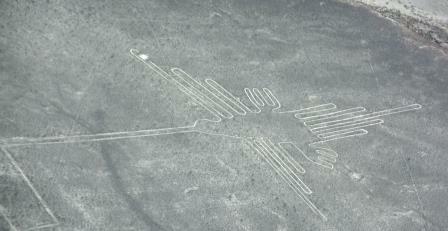 Scholars believe the Nazca Lines were created by the Nazca culture between 500 BCE and 500 CE. 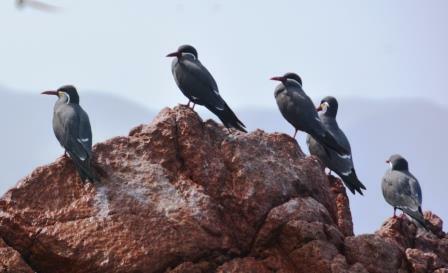 The hundreds of individual figures range in complexity from simple lines to stylized hummingbirds, spiders, monkeys, fish, sharks, orcas, and lizards. The designs are shallow lines made in the ground by removing the reddish pebbles and uncovering the whitish/grayish ground beneath. 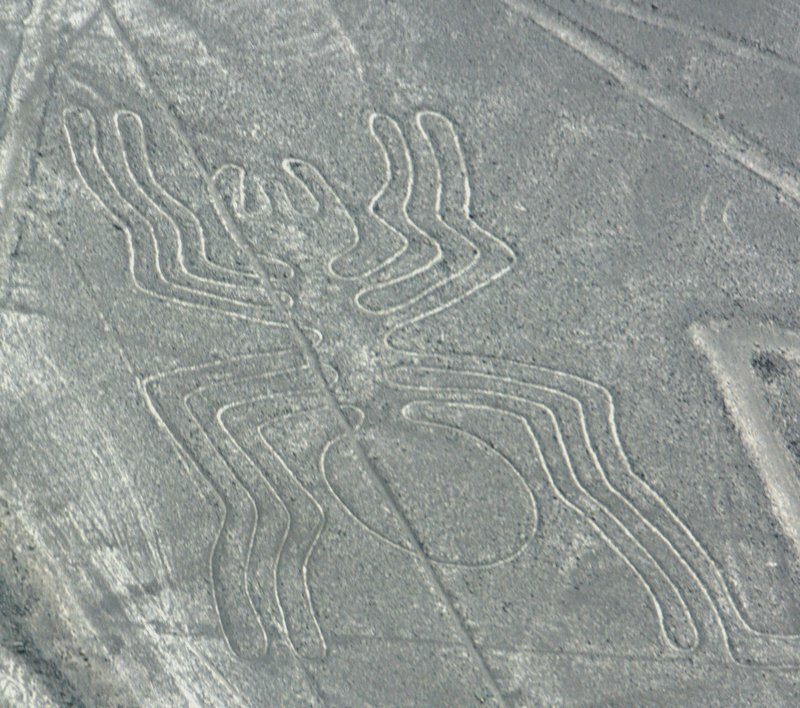 Hundreds are simple lines or geometric shapes; more than 70 are zoomorphic designs of animals such as birds, fish, llamas, jaguars, monkeys, or human figures. Other designs include phytomorphic shapes such as trees and flowers. 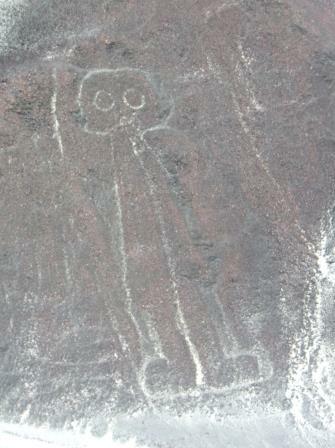 The largest figures are over 200 m (660 ft) across. Scholars differ in interpreting the purpose of the designs, but in general, they ascribe religious significance to them. 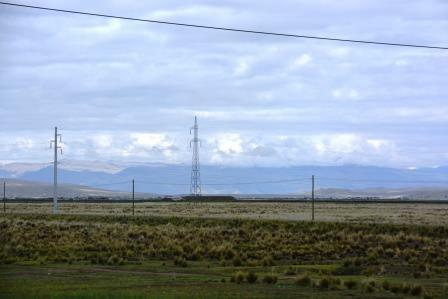 Due to its isolation and to the dry, windless, and stable climate of the plateau, the lines have mostly been naturally preserved. Each figure is a single line from one end to the other to form the figure. 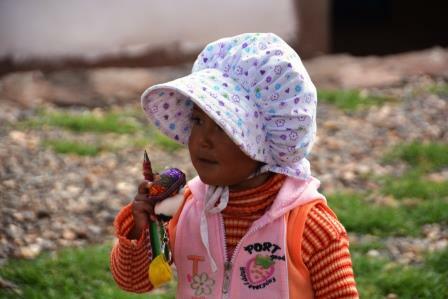 We were all about done with the beauty of the high altitude and were ready for our flight back to Lima and Sea Level. 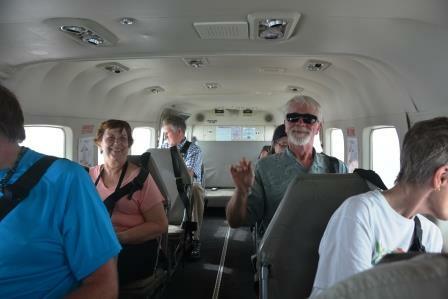 Our flight wasn't until early afternoon, so we meandered through the high plateau on the way to Juliaca. 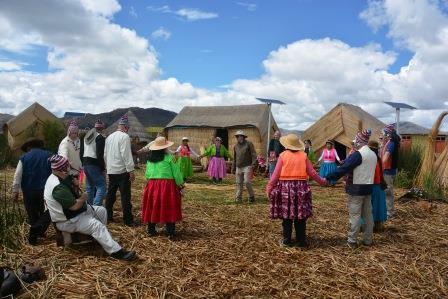 Our first stop was with a local family to get a taste of how the high country Andes natives live. 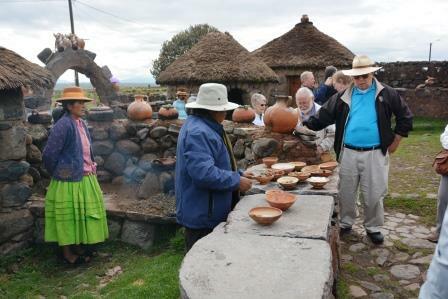 They were very friendly and really enjoyed showing us their lifestyle and living conditions. 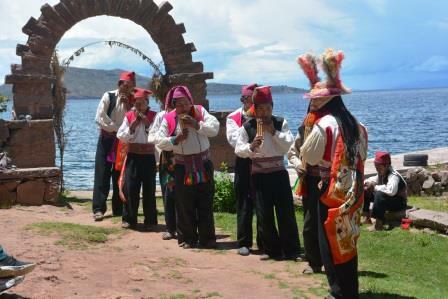 You could see that they were proud of their Inca heritage. 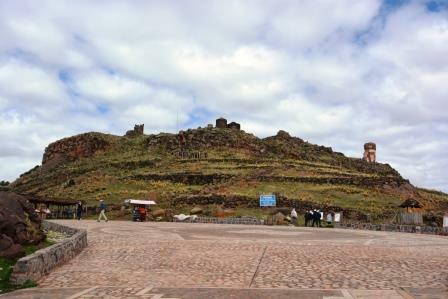 We reboarded our bus, and headed to the ruins of Sullustani (an elevation of 12,700ft) Sillustani is a pre-Incan burial ground on the shores of Lake Umayo near Puno. 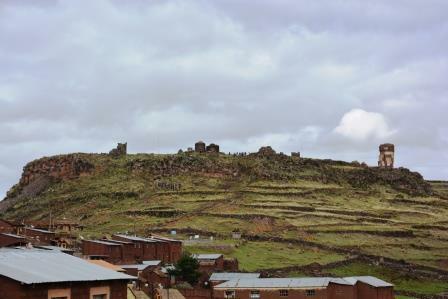 The tombs, which are built above ground in tower-like structures called chullpas, are the vestiges of the Colla people, Aymara who were conquered by the Inca in the 15th century. 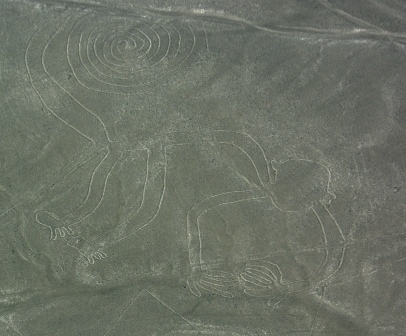 The structures housed the remains of complete family groups, although they were probably limited to nobility. Many of the tombs have been dynamited by grave robbers, while others were left unfinished. 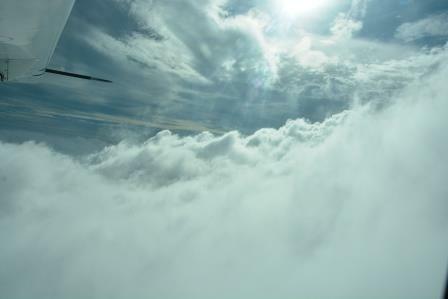 After an uneventful flight, we arrived at our hotel, and dinner and went to bed, relishing the "thick" air of sea level. On Sunday, we boarded a very comfortable boat for a full day on the water. 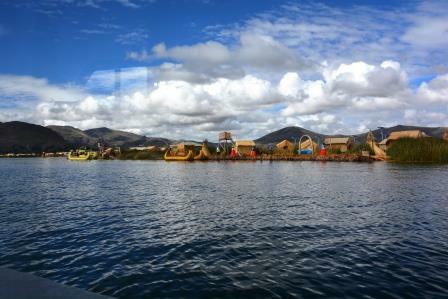 Our first stop was the floating reed islands or Uros Islands. 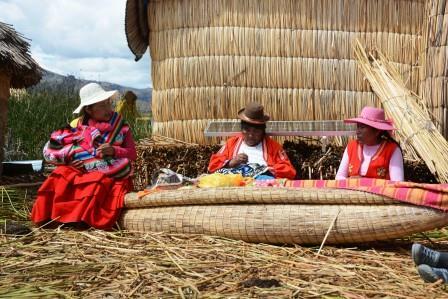 The Uros use bundles of dried totora reeds to make reed boats (balsas mats), and to make the islands themselves. 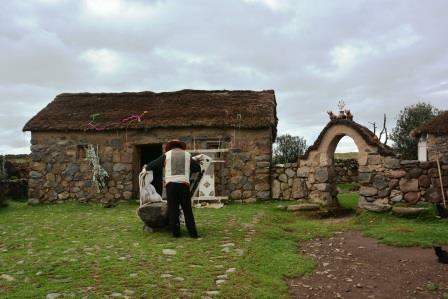 The larger islands house about ten families, while smaller ones, only about thirty meters wide, house only two or three. 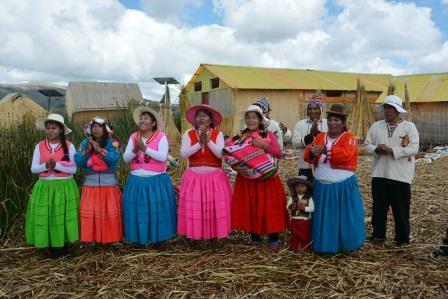 The islets are made of totora reeds, which grow in the lake. 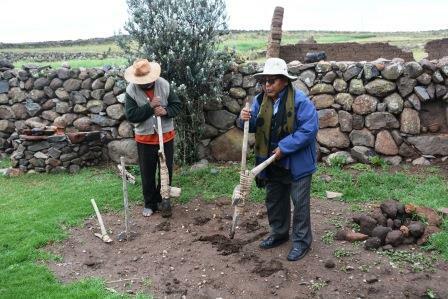 The dense roots that the plants develop and interweave form a natural layer called Khili (about one to two meters thick) that support the islands. They are anchored with ropes attached to sticks driven into the bottom of the lake. The reeds at the bottoms of the islands rot away fairly quickly, so new reeds are added to the top constantly, about every three months; this is what makes it exciting for tourists when walking on the island. This is especially important in the rainy season when the reeds rot much faster. The islands last about thirty years. 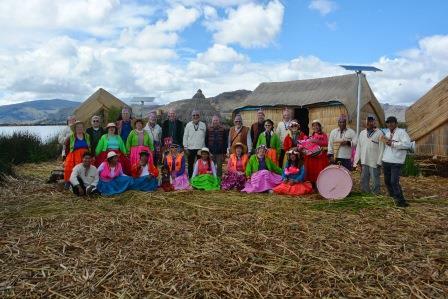 We had a wonderful visit leaning about their culture and way of life and native dances. 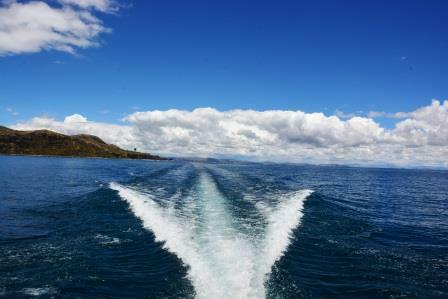 We then reboarded the boat and drove about an hour to the UNESCO heritage site of Taquile Island, one of the last frontiers conquered by the Incas. Taquileños are known for their fine handwoven textiles and clothing, which are regarded as among the highest-quality handicrafts in Peru. 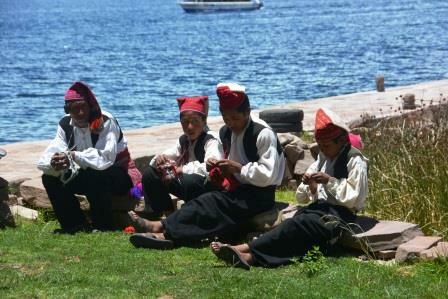 Knitting is exclusively performed by males, starting at age eight. 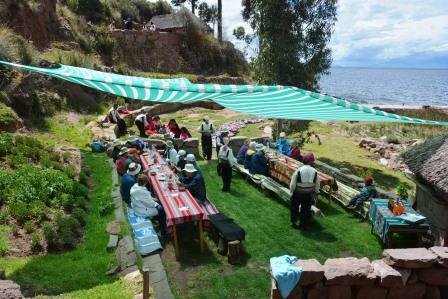 Women spin wool and use vegetables and minerals to dye the wool to be used by the community. 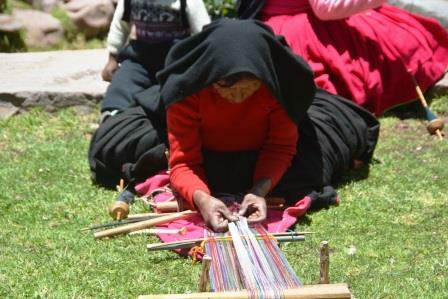 Women are also the weavers of the Chumpis, the wide belts with woven designs worn by everyone in the community of Taquile. 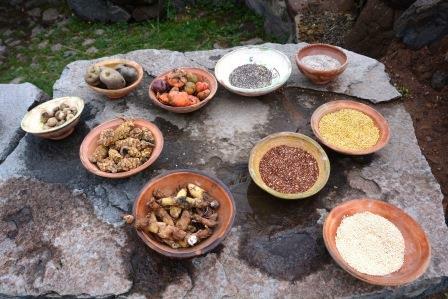 The island is divided into six sectors or suyus for crop rotation purposes. The economy is based on fishing, terraced farming horticulture based on potato cultivation, and tourist-generated income from the approximately 40,000 tourists who visit each year.. We learned about their history and wonderful weaving and knitting skills (which earned the culture its UNESCO status) and had a wonderful chicken lunch. 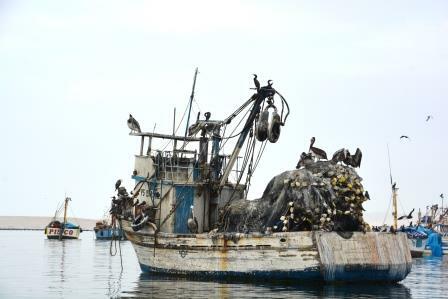 It was then back to the boat for our trip to the hotel and a quiet evening. 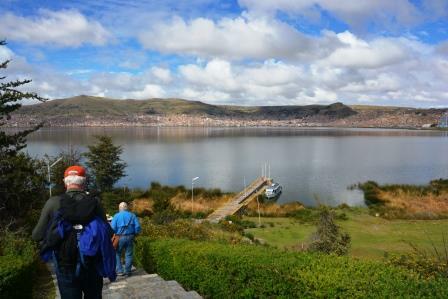 At this altitude, you burn out quickly, and everyone was pretty exhausted by dinner.